Last week I started each day with a list of eleven good resources to try in various content areas. I hadn't planned on continuing that practice this week, but after numerous requests I developed a few more lists. Here are eleven good health and physical education resources to try in 2011. You can find all of last week's lists here. Sugar Stacks is a good website for understanding how much sugar is in the food and beverages that we consume. Sugar Stacks lists popular food and beverage items in ten categories. Every item is pictured with a stack of sugar cubes. Each sugar cube represents four grams of sugar. This is a great way to see just how much sugar you really consume in your favorite snack or beverage. Get the Glass is a game produced by the California Milk Processor Board. Obviously, the game is designed to promote milk consumption. The game takes students on a journey with the milk-deprived Adachi family as they try to break into "Fort Fridge" where they will find an unlimited supply of milk. Throughout the game students will learn about the benefits of drinking milk and making healthy beverage choices. 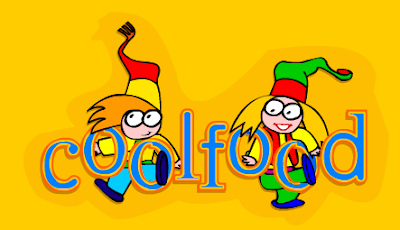 Cool Food Kidz is a kid-friendly website about nutrition, exercise, and general health. Cool Food Kidz provides easy-to-read lists of things they can do to take care of their health. For example, there is a list of "building healthy habits" tips which walks kids through ten basic things they can do to keep themselves healthy. Cool Food Kidz also provides students with tips for dental health and tips for keeping their brains sharp. The tips for eating out section offers advice to students on picking a healthy lunch and healthy snack foods. Nourish Interactive is a great resource for elementary school health and nutrition teachers. Nourish Interactive offers lesson plans, printable guides and forms, resources for parents, and games for students. In the printables section teachers will find things like fun coloring pages as well as educational pages like "name the food group" and "exercise tracking sheets." The parents' section of Nourish Interactive offers parents tips on teaching healthy eating habits at home. The parents' section also offers tips and recipes for cooking healthy food with kids. The games section of Nourish Interactive contains ten online games for elementary school students. The games are designed to reinforce the lessons learned from parents and teachers using the teaching resources on Nourish Interactive. Fat World is an educational video game funded in part by the Corporation for Public Broadcasting. The game isn't designed to tell students what they should or shouldn't eat rather it is designed to get students thinking about the results of food choices. In the game students explore the socioeconomic, geographic, and cultural factors that influence the nutrition choices people make. Students will also explore the roles of the government and interest groups in the marketing of foods. Fat World is available as a free download for Windows and Mac users. The Ad Decoder is produced by the Centers for Disease Control and Prevention. The game appears on the B.A.M. (body and mind) section of their website. BAM is full of great resources for health and physical education teachers. The Ad Decoder provides students with two virtual magazines which they flip through to see examples and explanations of advertising tactics used to grab the attention of tweens and teens. After flipping through the magazines students can test their new knowledge. Snag Learning hosts an excellent film titled The Family Meal. The Family Meal is a twenty minute film about obesity in America, its causes, its effects, and the disappearance of the family meal in American homes. The film focuses on how developing the habit of eating "family meals" at home can reduce the rate of obesity in American children. You can watch the film and view a discussion guide here. Scrub Club is a website designed to teach students why they need to wash their hands. The Scrub Club offers videos, comics, and games designed to promote healthy hygiene habits to prevent the spread of diseases like the flu. For teachers, Scrub Club offers free downloads of posters, cartoon books, and lesson plans to promote hand washing. The downloads are available in English, Spanish, and French. Google Maps can be used by physical education teachers and or health teachers to have students plan safe routes for bicycle rides. To take the assignment a step farther you could have students plan a route, measure the distance, and calculate how many calories a person could burn on that route. There are numerous calorie calculators on the web that you could use for that second step, here is one to get you started. The Health Hut has a list of forty infographics health and wellness infographics worth exploring. Here are a couple of the infographics in the list grabbed my attention as being useful for health teachers and science teachers: Eating Out: From Bad to Worse gives a run down of worst items to order at popular chain restaurants including Chili's, Applebee's, McDonald's, and Wendy's. The Future of Food is a series of nine infographics produced by Wired. The infographics illustrate the global demand for food, what that demand means for farmers and for the planet, and how that demand could be met in the future. Bonus Twelfth Item just because I couldn't leave this out. I'm a big fan of introducing students to outdoor recreation and sports that students can pursue for a lifetime as an individual, activities like skiing, hiking, and swimming. I also think that physical education doesn't have to stay indoors when it's cold outside. Therefore I wrote about some winter outdoor activities in this post last month.